The Centre for Research in Evidence-Based Practice at Bond University includes a team of systematic reviewers and programs interested in automation. Their software - Systematic Review Accelerator - focuses particularly on tools for better search formulation and conduct, and is free to access. The team includes Prof Paul Glasziou (systematic reviewer), A/Prof Elaine Beller (systematic reviewer), Matt Carter (programmer), Michael Hodder (programmer), and Justin Clark (information specialist). The EPPI-Centre at University College London is a centre which specialises in methodology for systematic reviews and the use of evidence to inform decision-making. It publishes the systematic review tool – EPPI-Reviewer – and provides a range of machine learning services for Cochrane. The technical development team includes Prof James Thomas (systematic reviewer / computer science), Sergio Graziosi (programmer), Jeff Brunton (researcher), Patrick O’Driscoll (programmer), Zak Ghouze (software support) and Claire Stansfield (information specialist). Cochrane Netherlands/Julius center for Health research and primary care/ILPS-University of Amsterdam/KR&R-VU Amsterdam is a consortium of researchers in the field of systematic review methodology, approximate reasoning, formalization of medical knowledge, Information retrieval, text mining, and evaluation of retrieval systems. We want to discover how decisions during the systematic review process are made, how technical solutions can support this and what evaluations are most appropriate to measure quality and success. 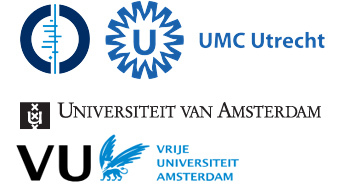 The team is comprised of A/Prof Lotty Hooft (Epidemiologist/systematic reviewer), Prof Carl Moons (Epidemiologist), Rene Spijker (Information Specialist), Prof Maarten de Rijke (Information processing, Informatiocs), Prof Evangelos Kanoulas (information retrieval, informatics), Prof. Frank van Harmelen (Knowledge representation and reasoning), A/prof Anette ten Teije (knowledge representation). Centre for Health Informatics at Macquarie University, Sydney, Australia is a research centre dedicated to improving patient safety and outcomes through improved communication, evidence based practice and safe design. Relevant areas of research are evidence based clinical decision making, detection of bias in evidence and analytics. The Centre’s Piano technology that automates translational medicine (including systematic reviews and observational studies) is embodies ICASR’s Vienna Principles and is developed in partnership with Evidentli Pty Ltd. Systematic Reviews for Animal and Food (SYREAF) is a collaboration of Annette O’Connor at Iowa State University, Julie Glanville at the York Health Economic Consortium and Jan Sergeant at the University at Guelph.